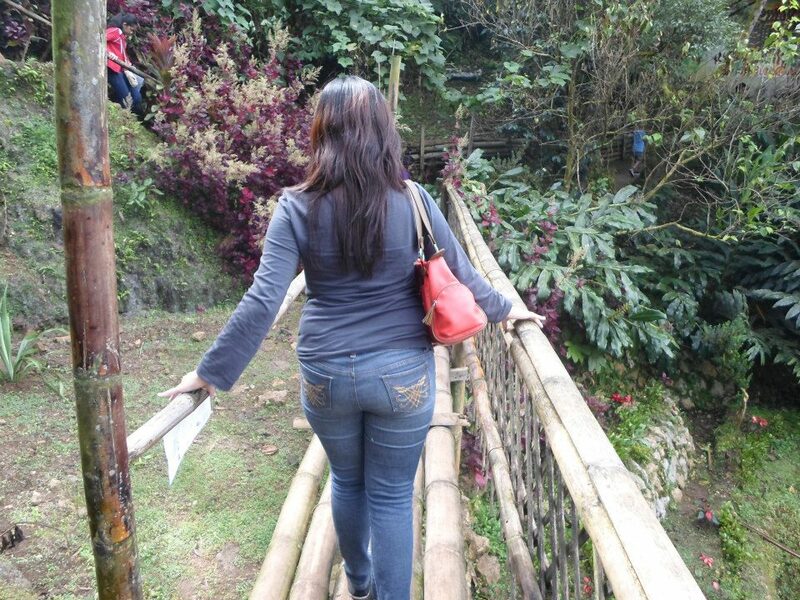 It’s our last day in Baguio. 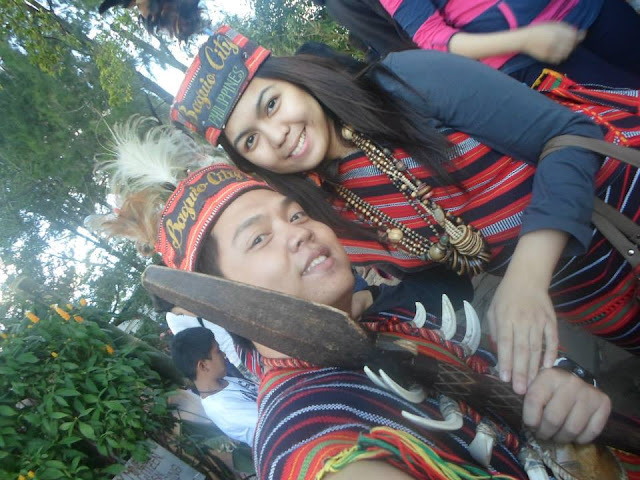 It has been a great experience wandering around Baguio with my boyfriend. 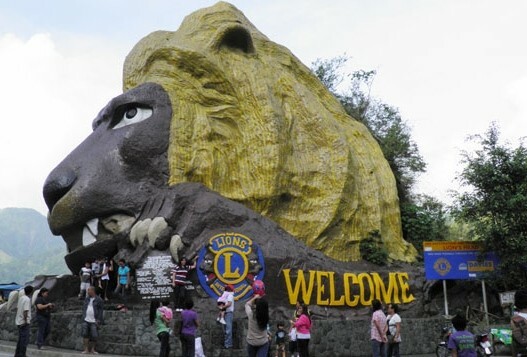 It was my first time to see these places despite the fact that my family and I go to Baguio annually since my parents join the bazaar during the Panagbenga Festival. We packed all our things and had an early checkout from the hotel. 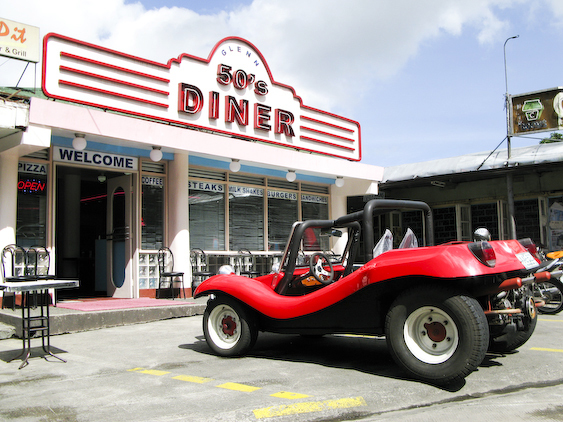 We were excited to have our breakfast at 50s Diner (Gen Luna Rd) since I’ve read great reviews about this restaurant. We came early because it was advised in the reviews I’ve read that this place really gets crowded during breakfast. When we arrived, it really was crowded, and the fact that the restaurant was quite small, we had to wait in line for us to be accommodated. Unfortunately I wasn’t able to take pictures because our camera was packed underneath the other stuff inside my bag. So while waiting, we checked their menu. I ordered a “SHE” while Jayvee ordered the “Two fresh egg” plus extra bacon. 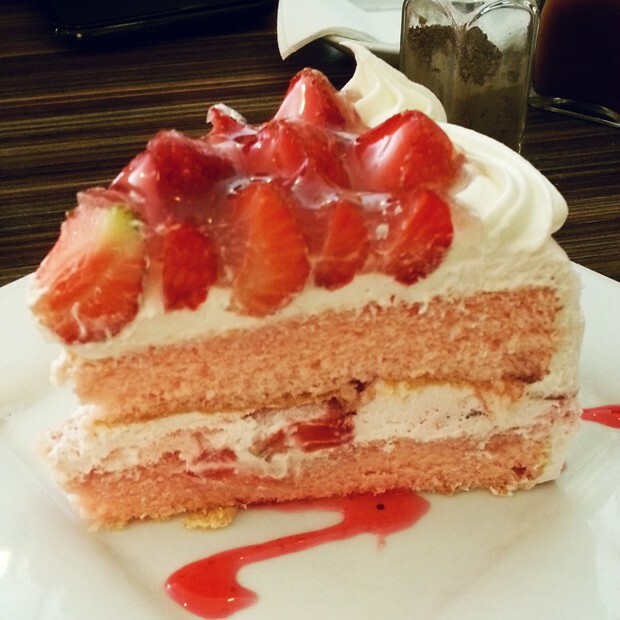 Yummyyy!! 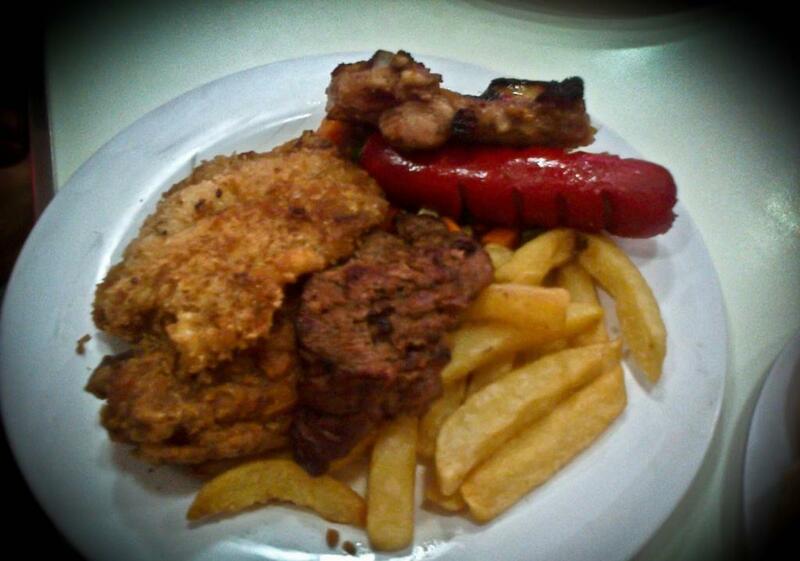 My meal is composed of a chicken leg, pork chop, breaded fish, minute steak, hotdog, fries and vegetable sides. It also has a complimentary dessert. 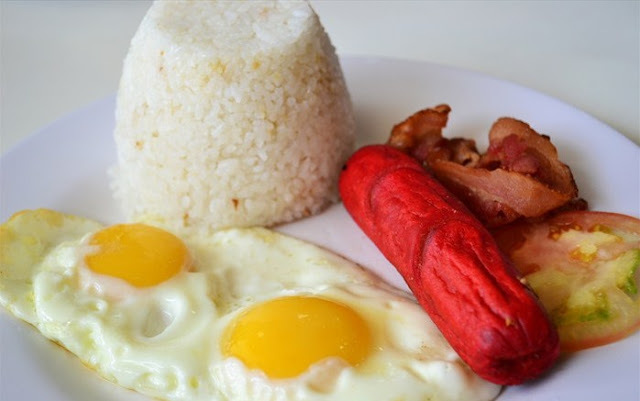 While Jayvee’s “two fresh egg” (hahaha) is composed of 2 eggs (you just tell the server how you want your eggs cooked), strips of bacon, hotdog and rice. We also ordered chocolate and vanilla ice cream shake. The food at 50's diner tasted okay, but the best part was their prices which were very affordable with generous serving sizes. The milkshakes were AMAZING! We loved it especially when I saw they make one. They placed ice cream scoops on the blender that’s why it was so creamy. The only problem that we encountered was the server which was a bit rude at first, maybe because she was already very tired since there were lots of people simultaneously calling her attention. 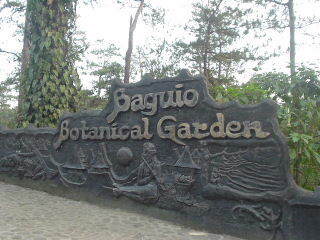 After the heavy breakfast we had, we decided to go to our last destination before heading to the bus terminal. 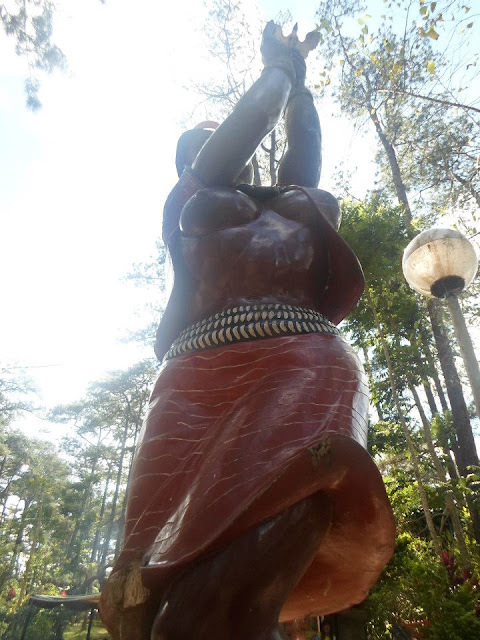 Not very far away from 50's diner, we headed to the Baguio Botanical Garden. It’s between Teacher’s Camp and Pacdal Circle and the entrance is at Leonard Wood Road. Upon arriving, we saw a group of Ifugao women outside, you can take pictures with them and wear their traditional costume for a fee of P20.00/person. But I wasn’t able to experience that because there were to many people who wanted to try it so we just decided to go inside. 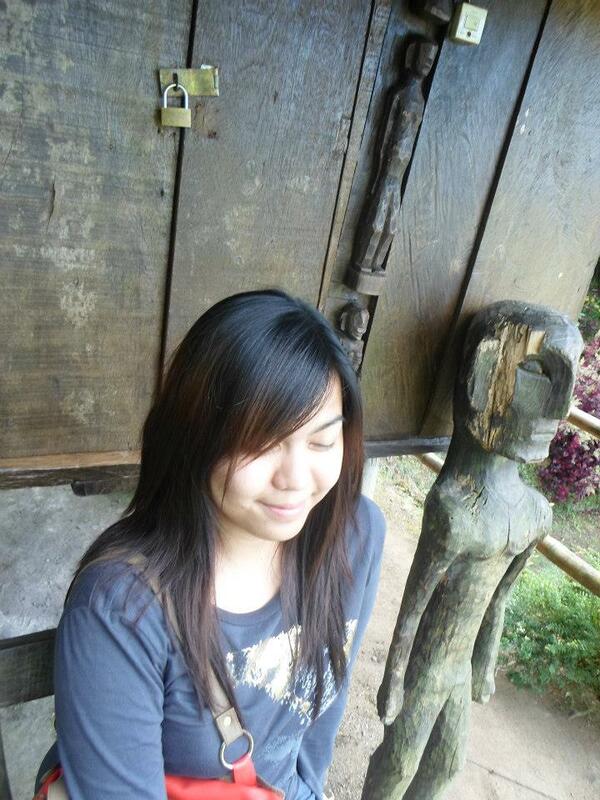 There were no entrance fees so you can enjoy the view and the calmness inside for free. Inside were different Ifugao huts, flowers, ponds, statues and there was even a cave but I was too scared to go inside. You can also experience horseback riding here but we opted to walk instead. Here are some of the photos we had inside. There was also a replica of the Golden Gate Bridge here at the Botanical Garden but there were too many people staying under the bridge so I wasn’t able to have a picture with it. It was a huge area and we weren’t able to see everything since we already have to head to the terminal. We took a cab and went straight to the Victory Bus Terminal. This time, we rode a regular air conditioned bus which costs P450.00/person. It still comes with a free wifi minus the restroom. 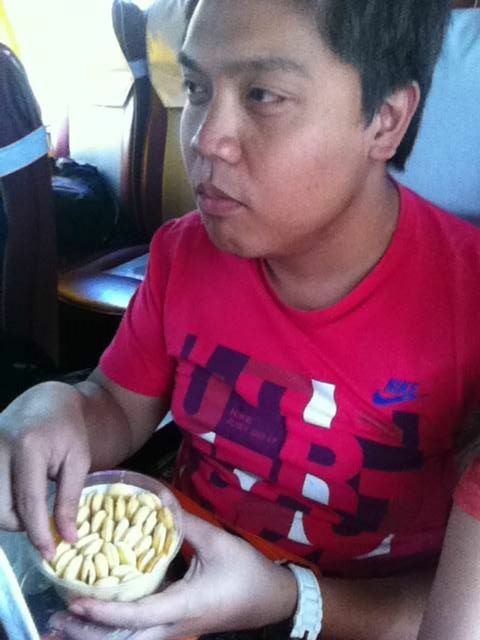 While waiting for our bus, we bought some “Pasalubong” from the stalls at the terminal. 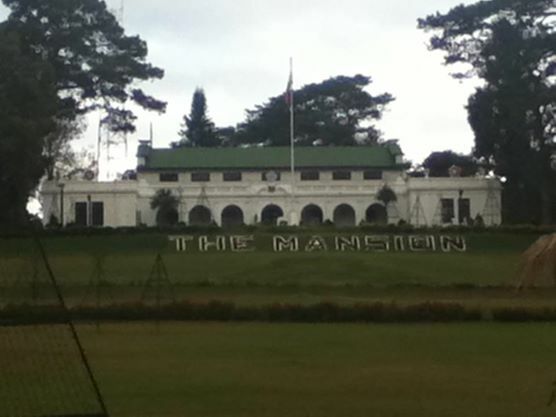 Once our bus arrived, we got inside and we bid Baguio farewell. 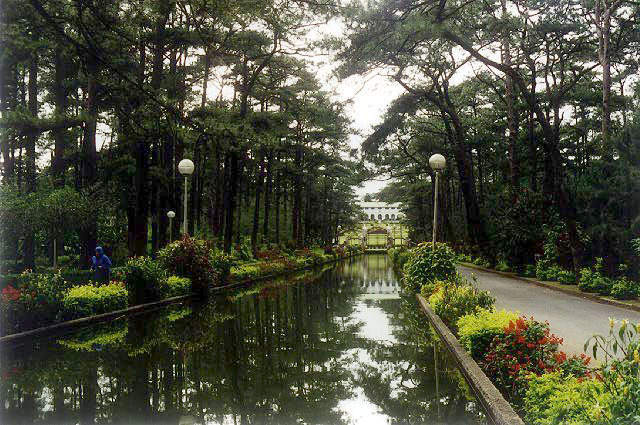 After satisfying our pizza and pasta cravings at Pizza Volante, we continued our Baguio tour at Camp John Hay. Upon arriving, we wanted to try horseback riding. Rates are as follows: P250.00 for 30mins at the Riding Circle and P370.00 for an hour at the Birdle Path to the Riding Circle. 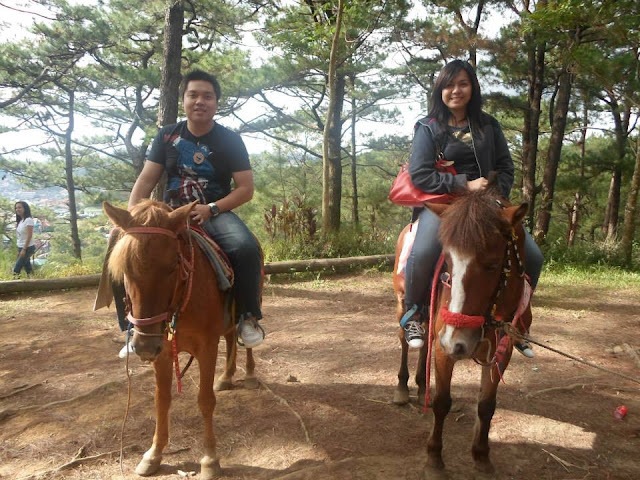 As far as I could remember, this was my first time to ride a horse. It took me a while to feel comfortable riding the horse and the fact that we are going through the muddy forest, I felt like I was going to fall of my horse. But as minutes pass by, I was already enjoying my ride. Renting a horse comes with a spotter/handler (horse whisperer.lol) The handler guided us all throughout the ride. When we arrived at the riding circle, he told us that we can go on our own, but I wasn’t brave enough to lead the horse myself. Maybe 3-4 more times, then I’ll have the courage to ride on my own. 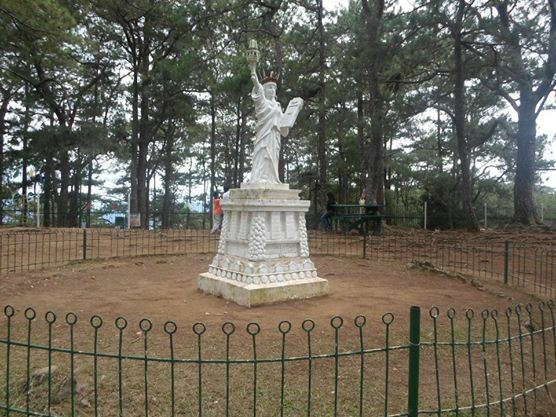 No need to visit NYC since we also have the statue of liberty here in the Philippines. 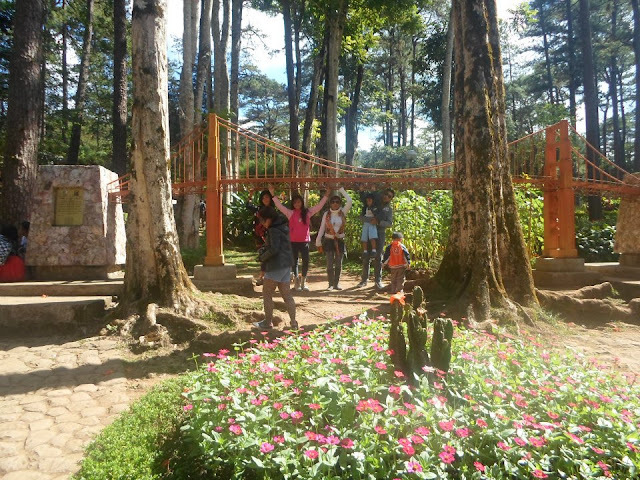 Across the Liberty Loop, you can see and hear the adventurous crowd trying out the different activities at the Baguio Tree Top Adventures. 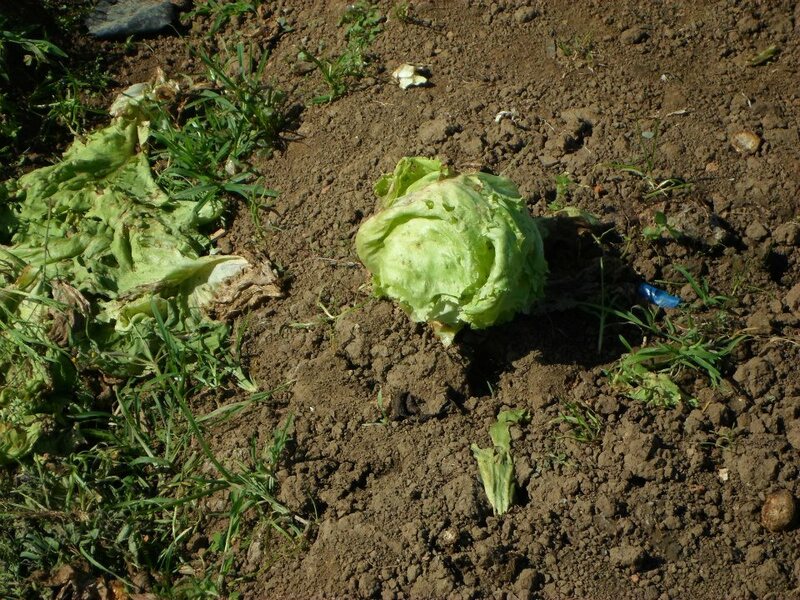 I would’ve tried some, unfortunately we’re on a budget and rates at the tree top adventures are a bit steep for us. 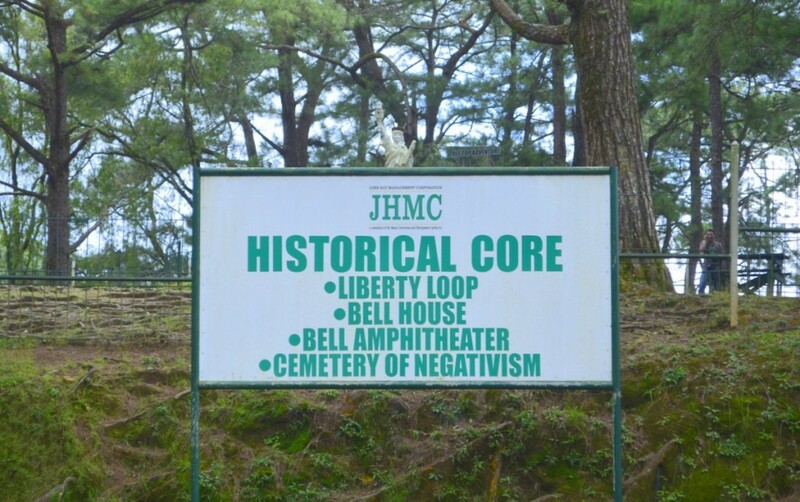 Next was the so called Lost Cemetery or the Cemetery of Negativism. It was fun reading the epitaphs while walking along the paths. Near the cemetery was the next site which was the totem pole. 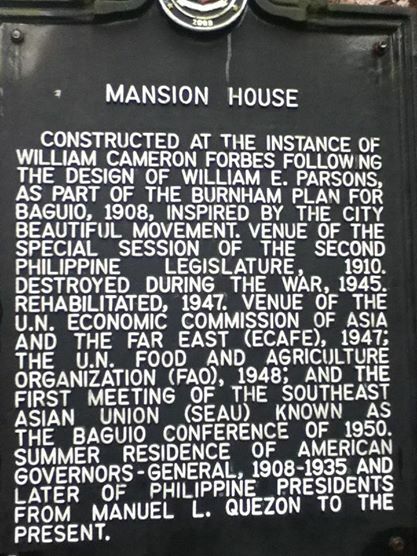 Composed of the American leaders who made an impact here in the Philippines. You will also find the Bell House, History Trail, Secret Garden and the Amphitheater. 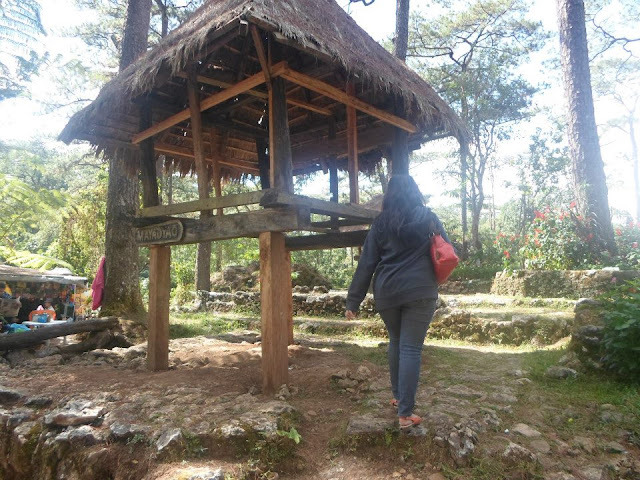 We weren’t able to visit the amphitheater since there was a wedding at that time. We weren’t able to stay long at the secret garden since it rained so we bid Camp John Hay farewell as we head to our next destination. Luckily the rain stopped as we arrived at the Mines View Park. There were lots of people in this area since there are tons of stalls here with different kinds of stuff for sale. There were also fun activities to try here. There was also a white horse with pink hair at the park where in you can ride and take photos with for just P20.00 per person. 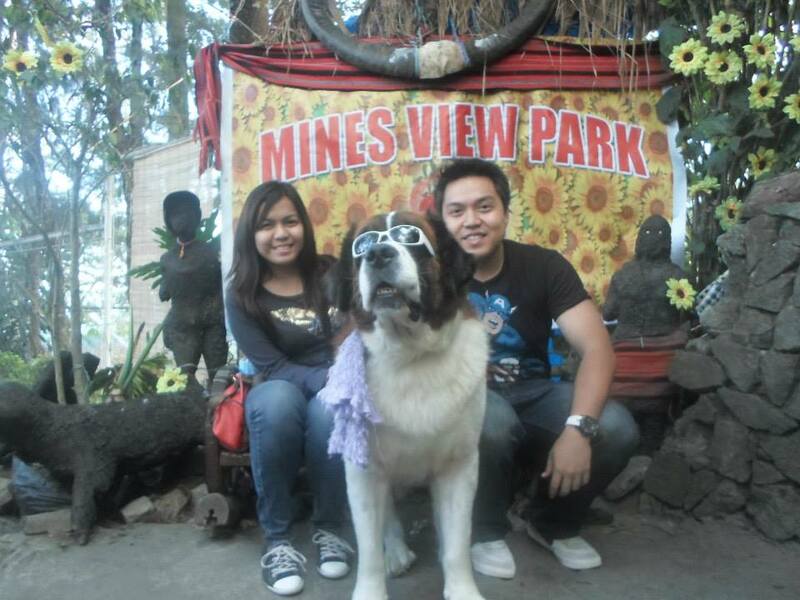 Since we still have to visit 2-3 places that day, we left the park after the pictorials. Next stop was Wright Park. They also have horses available at the wright park but I wasn’t able to check the rates. 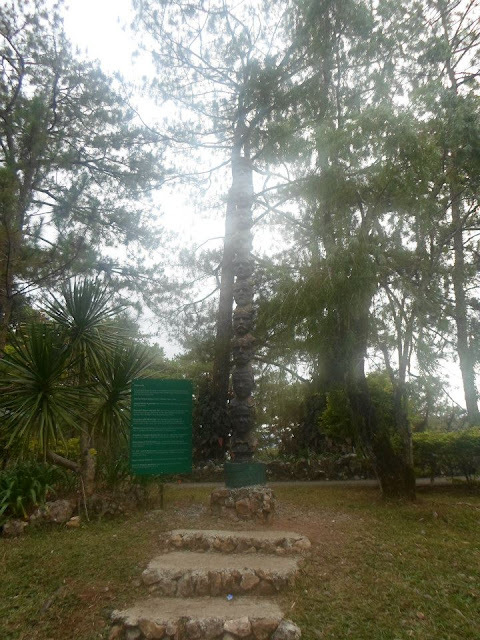 But compared to the horses at Camp John Hay, I noticed that the horses were smaller at Wright Park. 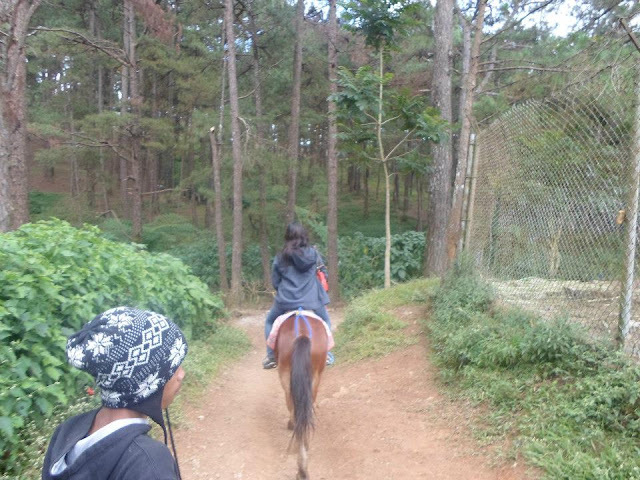 Looks like horseback riding was the main attraction here at Wright Park, and since we were finished with this activity at Camp John Hay, we left the park and rode a jeep since the Mansion was just near the park. We just took photos of the place and left since it was getting late. 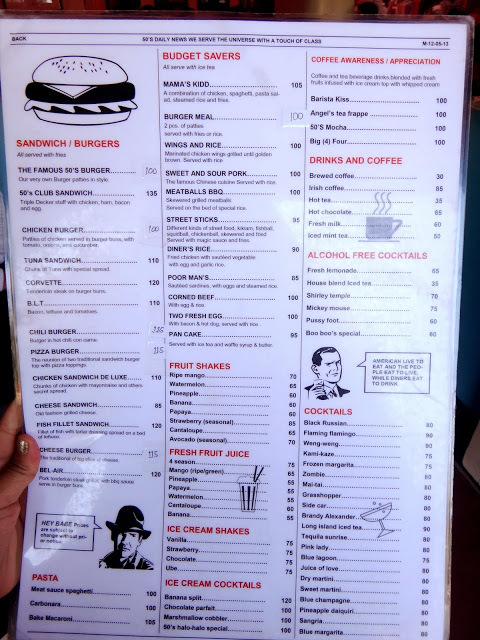 We rode a taxi and decided to eat at 50s diner, but upon arriving, the place was super crowded so we decided to go to SM instead. We had dinner and bought milk tea before going back to the hotel. This day was super tiring but we still have some places to go to on our Day 3 at Baguio so we went back to the hotel and slept early for tomorrow’s adventure. 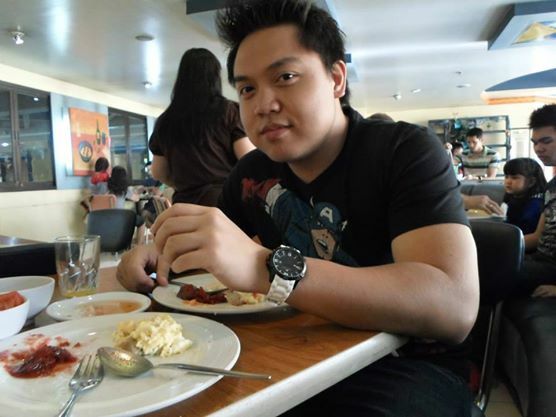 Day 2 of my Baguio Adventures, I searched the net for an affordable breakfast buffet. 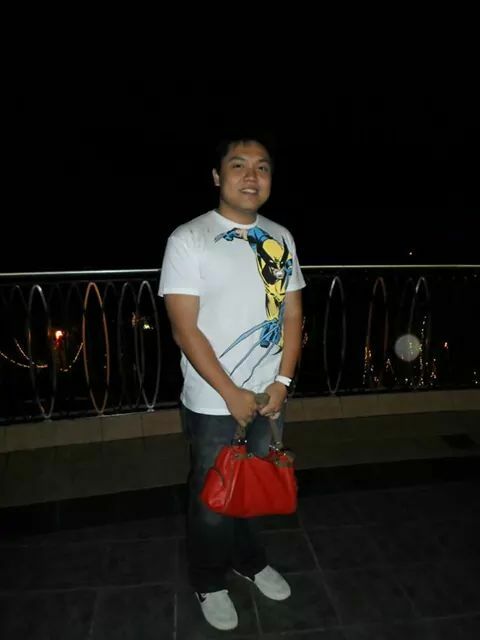 We saw Le Monet, Le Chef and the list goes on, unfortunately its beyond our meal budget since our Christmas Bonuses haven’t reached our ATM cards yet. Too bad :( Then I encountered Veniz Grill Breakfast Buffet. 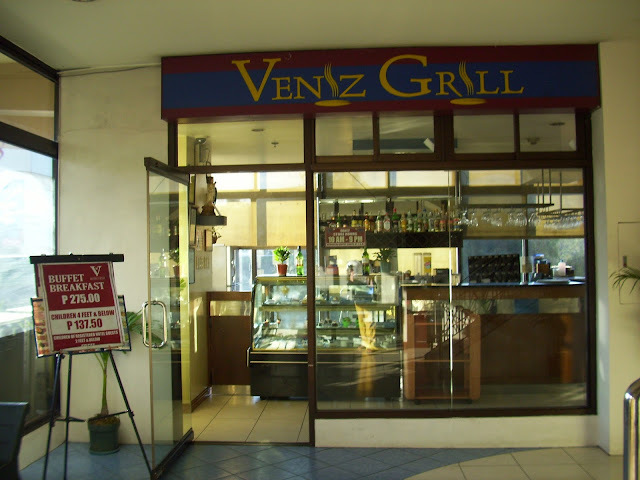 Veniz Grill is located at the 3rd floor of Hotel Veniz (1 Abanao St.) Here’s a map from the Hotel Veniz website. 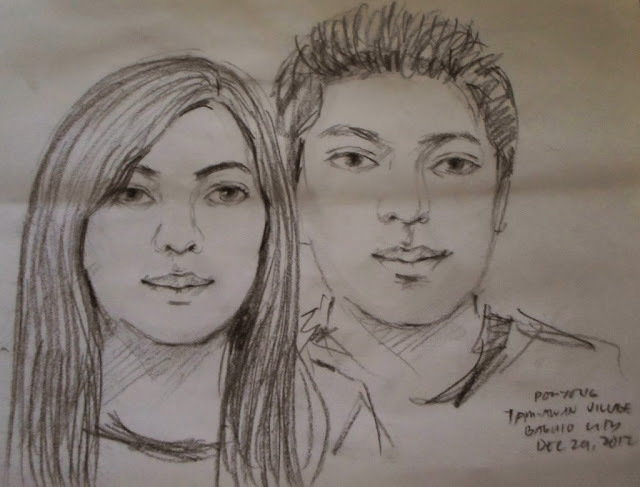 Their breakfast buffet costs P275.00 per person. Their dishes were the usual tocino, scrambled egg, crispy dilis, fried rice, longganisa, etc. The food was not that exciting, but it tasted good. For the beverages, they have orange juice, iced tea and coffee. They also have cereals for the kids (and the kids at heart. :p) The only downside with their cereals are the milk containers that were so small, one serving is not even enough to fill my cereal bowl and the staff took so long to come back with the refill. All in all, we had a great breakfast and we are now ready for our tour. We found out that the Strawberry Picking costs P500.00 and you get to keep a kilo of strawberries you freshly picked. 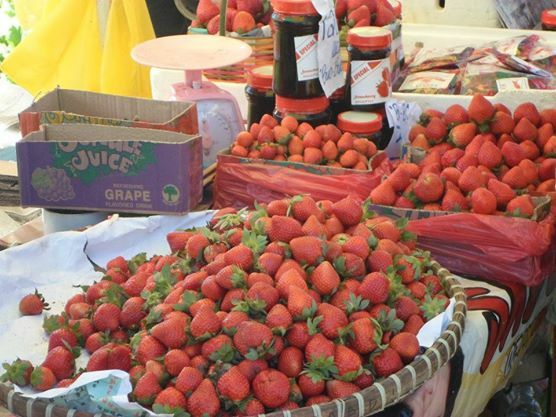 It was a bit steep for a kilo of strawberry which costs P150.00-P200.00 if you buy at the stalls near the farm. I felt sad knowing this, good thing was that you can enter the farm even if you don’t avail the strawberry picking fee. I just wanted to look around and take several photos so that’s what we did. After taking some photos, we headed back to the cab and the driver suggested that we visit Tam-awan village Garden in the Sky (Longlong, Benguet Rd). 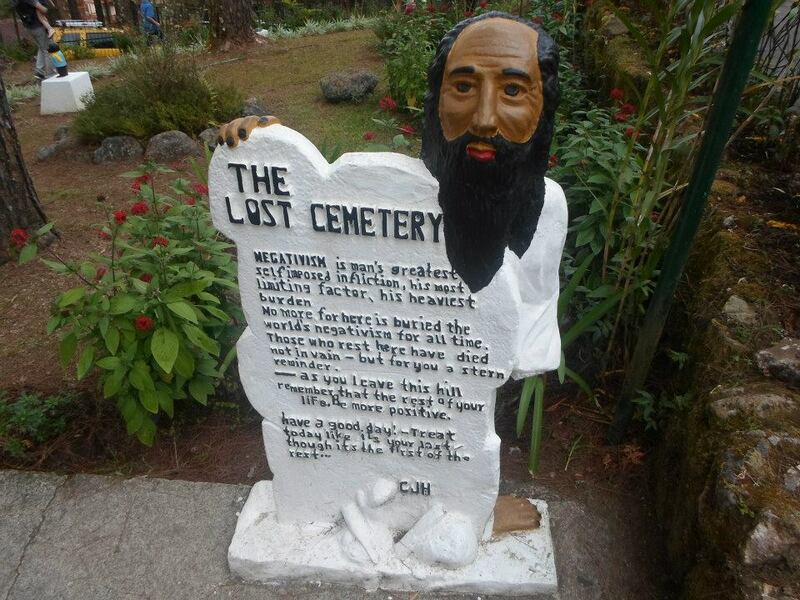 Upon arriving, you have to pay for the entrance fee. 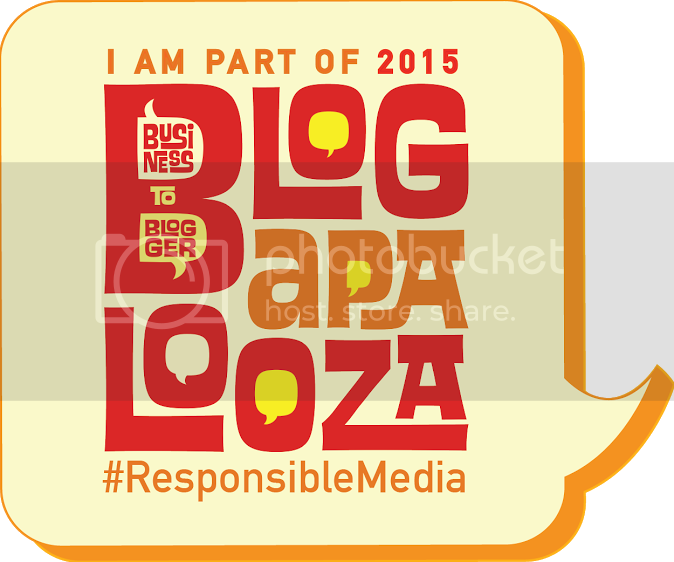 P50.00 for adults, P30.00 for students and P20.00 for children. 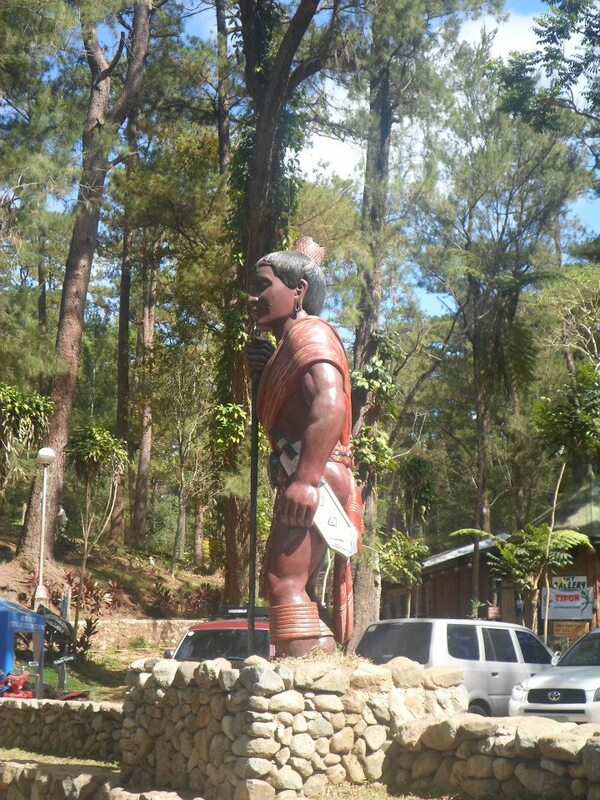 As what I have researched, Tam-awan Village is a reconstructed Cordillera Village established by the National Artist BenCab. 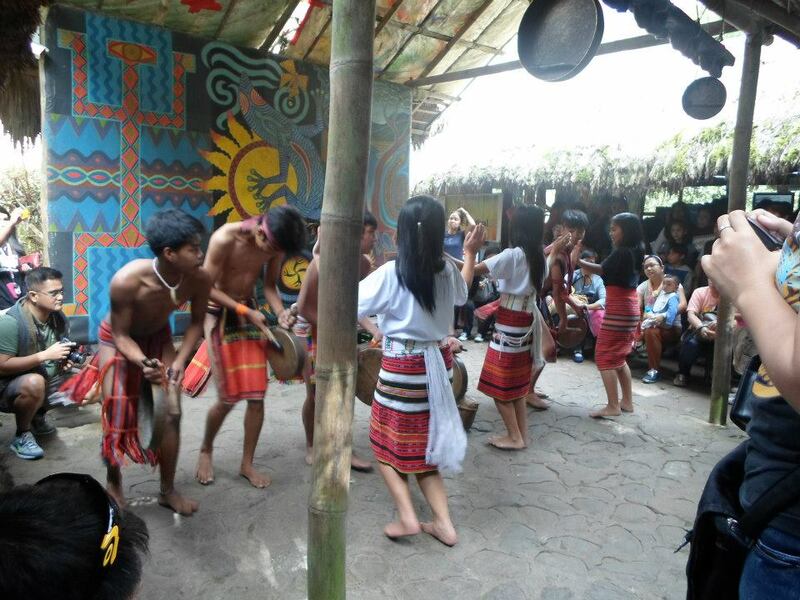 Here are some of the photos we had inside the village. 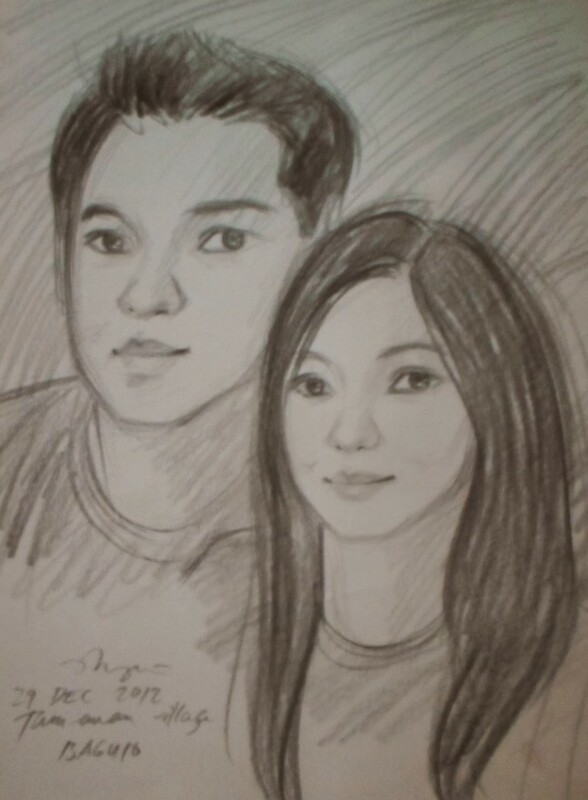 It took them 10-15 minutes to finish our portrait and it was a great privilege to be drawn by these artists. 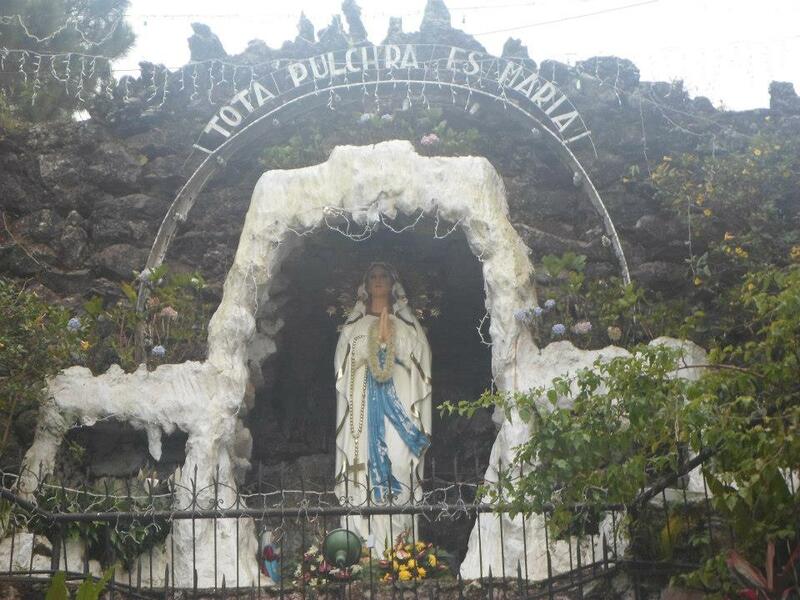 After receiving the portraits, we went back to our cab and asked the driver to head to our next destination which was the Lourdes Grotto (Dominican Hill Road, Mirador Hill). Before reaching the grotto, you have to climb 252 steps or if you are not up for this challenge, you can use your vehicle or ask your hired cab to use the road on the sides of the hill to bring you to the top. 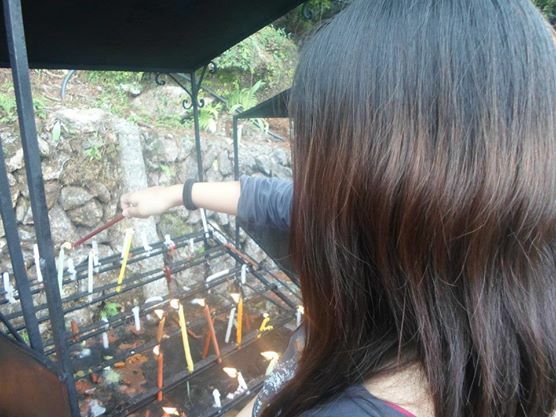 Once you arrive at the top, rest for a while and you can pray, light a candle and of course, appreciate the views from above. 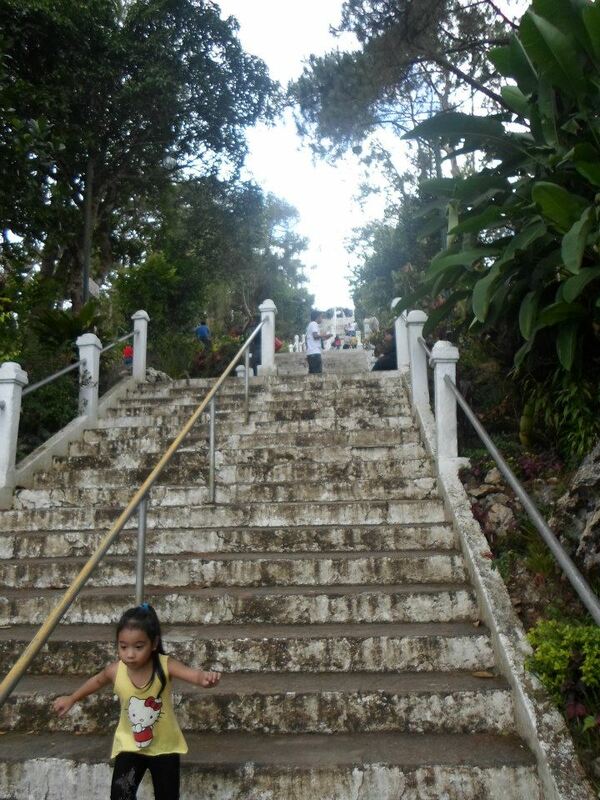 With all those steps, we were completely exhausted and can’t wait to eat. So, we asked the driver to bring us to Pizza Volante. 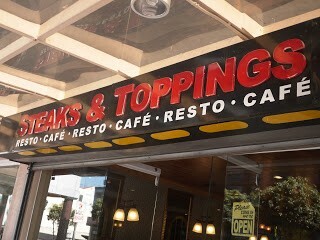 I saw this restaurant on the internet as a must try pizza place in Baguio. There were actually three branches in Baguio (if i remember it correctly). 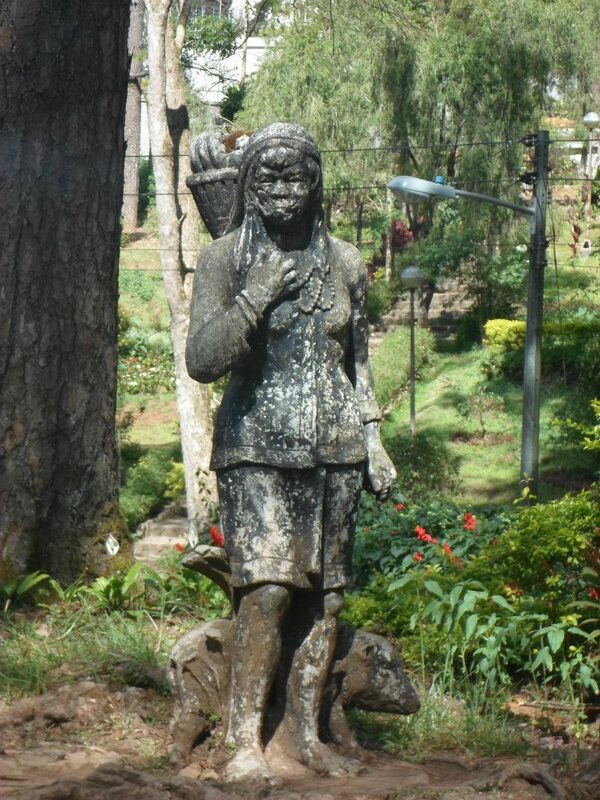 I saw one near the Wright Park (Leonard Wood Rd) while commuting; the other one was at the Ayala Land Techno Hub Retail Plaza at Camp John Hay and along Session Road. We dined at Session Road Branch. 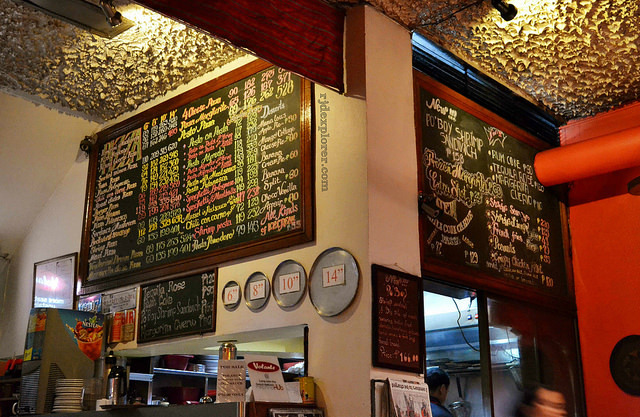 Upon arriving, we saw a menu board with lots of mouthwatering choices. Typing about these makes me want to go back to Pizza Volante, I really hope they branch out here in Manila someday. This has been a long post so I divided Day 2 into two parts. From all this typing, I remembered how exhausted I was on this trip. 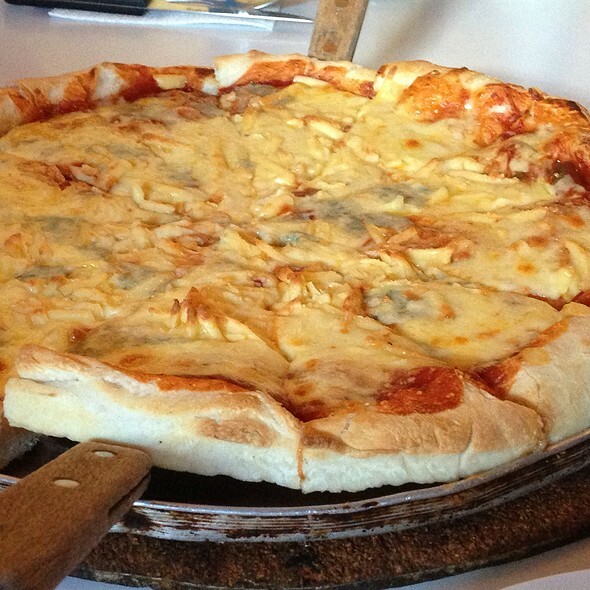 Anyway, ending this blog with the 4 cheese pizza photo makes me want to go back to Baguio. See you again soon!! From QC, my boyfriend and I rode a Victory Liner Bus (Cubao Terminal) at around 10:15am via SCTEX. 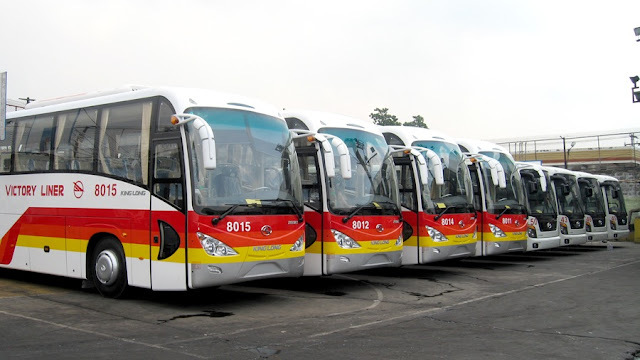 We were on a Deluxe Aircon Bus (P715.00 each) that comes with a portable restroom and free wifi. Unfortunately, the connection was a bit unstable due to number of users on board. The trip was 6 hours long which was earlier than expected (estimated travel time from Manila - Baguio is 7-8 hours). We took a cab and went straight to our hotel to check-in. 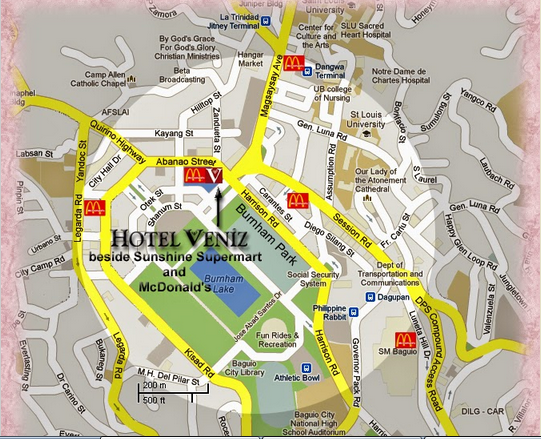 We stayed at Starwood Hotel located at Kisad Road cor Marcos Highway along the BGH Rotunda. 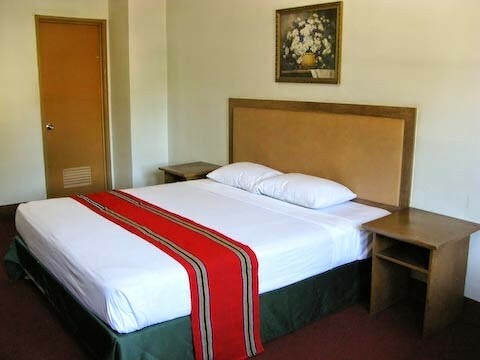 We got a Deluxe Room (P1,400/night) + P300.00 fee if you use their AC. Here's a picture from Starwood's website. 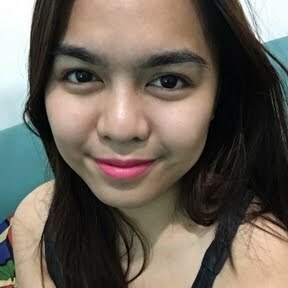 After checking out the mall, taking pictures and watching a movie (and crying, thanks to the movie One More Try starring: Angel Locsin, Angelica Panganiban and Dingdong Dantes. lol) we felt hungry. 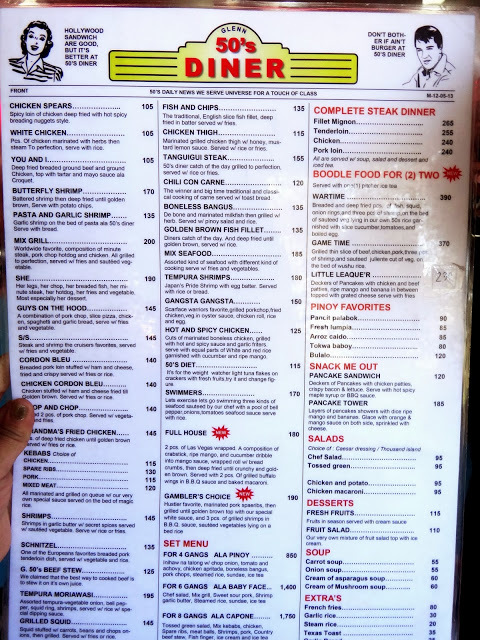 We started looking for a place to eat at Session Road and ended up at Steak and Toppings Resto Cafe which was an easy choice for us since we love steaks. Great food and reasonably priced. You might want to check out Vizco's Facebook Page for other must try cakes.